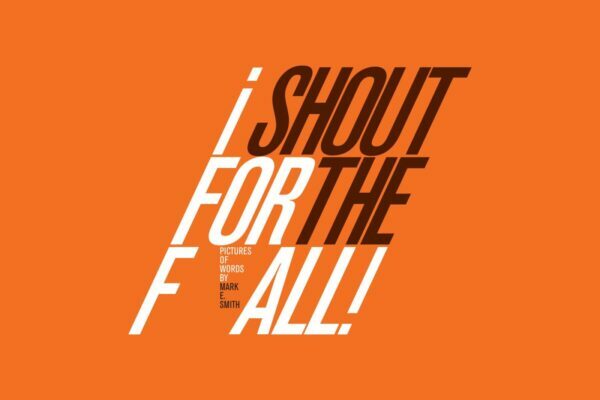 Mark E Smith (1957 – 2018) of the Fall was an outspoken, contrary, sardonic and frequently controversial figure in the music world since 1978, and his death earlier this year left an emptiness in many of his fans. I first heard his work listening, almost inevitably if you were living in the UK at the time, to John Peel on his BBC Radio show, and hurried out and bought each fresh new 7″ as they emerged, and the complex series of albums that followed. He was a brilliantly original lyricist, whose influence can be heard down the line over the years, and published a handful of books of his lyrics over the years which certainly helped me to decipher what exactly he was ranting on about at times! Stories of his character are bounteous – apparently he once threatened to stab a man for waking up, and fired a sound man for having ordered a salad. Yes, he may not have been the easier character to work with, that’s for certain, and books by former bandmates and even his ex-wife are wonderfully entertaining in their ways! I was also fortunate enough to see the Fall perform in various guises and locations over the years, from small smoke filled venues in London, to theatres when they performed live with dancer Michael Clarke and fashion designer Leigh Bowery. So I was thus duly honoured to receive an invitation to contribute a new work to a forthcoming exhibition, to create an original artwork based on a single line from his lyrics for a show at Bury Art Museum. A suggestive phrase that connected the world of John Cage with the Fall, with sound and silence, with listening and presence. 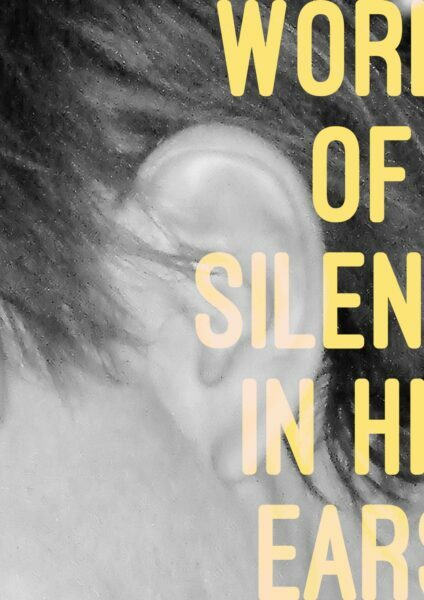 I found an image of Mark E Smith’s ear, enlarged it and placed the text just off the edge of the picture, to capture that essence of Smith’s lyrics, just on the edge of understanding and misinterpretation. 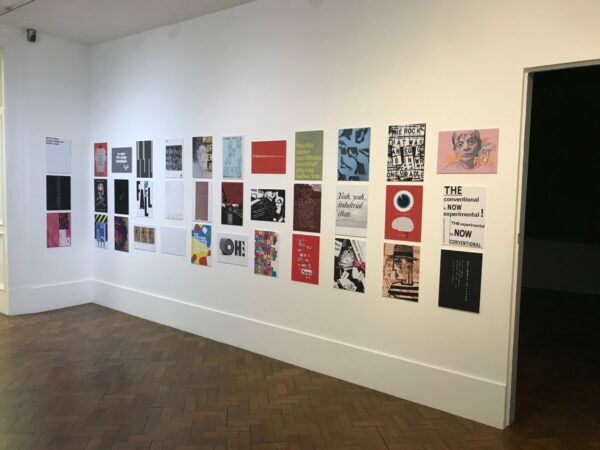 It shares wall space with a host of designers and image makers including Build, Malcolm Garrett, Instruct, Lucy Holmes, Alan Kitching, Morag Myerscough, Spin, Swifty, Patrick Thomas, Tash Willcocks, and many others. As Smith was a resident of Prestwich, Bury for most of his life, it is fitting that the work be exhibited here at Bury Art Museum. I hope that some of you might get to see the show!